The role of a subject leader is one of the most important in any school, second only to that of the head teacher. Subject leaders are working in the 'engine room' of school life, expected to turn the vision, values and ethos of a school into reality.However, most teachers went into education because they wanted to be teachers, not leaders, so they often haven't had any training into how to lead a subject area.This book seeks to deliver a whole range of practical solutions to the challenges that the role presents. 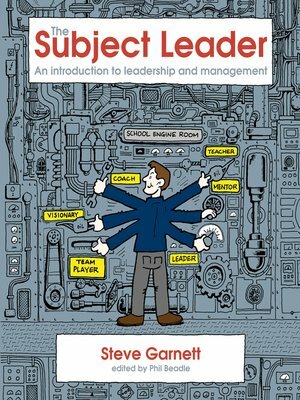 The areas covered range from setting and communicating your vision, delivering high quality learning across all classes and developing rigorous and effective systems of self evaluation to understanding and developing a transformational leadership style.Hugely accessible and realistic, the book also tackles some of the other critical issues that sometimes face subject leaders. Practical solutions are offered around the issues of working with underperforming colleagues as well as managing the stresses of the role.